Monday – Friday 7 a.m. – 3:30 p.m.
Masonry is generally a highly durable form of construction, however the quality of the workmanship can substantially affect the durability. 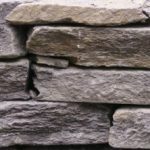 At Countryside Landscape & Design, we have the expertise to correctly prepare the site and install your masonry landscape project. Hardscape and masonry features, such as a patio, fire pit, water feature, stone steps, seating, walls, dry streams or a stone focal point can add a beautiful visual impact that unifies or separates your green spaces. We carry a variety of local quarried stone, including Ashfield stone, bluestone, limestone, landscape boulders, and crushed stone/gravel in various colors and sizes. Sign up for the Countryside Landscape newsletter!